Dr. Vidic joins the AdventHealth Transplant Institute, formerly Florida Hospital Transplant Institute, from the University of Utah, where he completed his fellowship in heart failure and transplantation. Dr. Vidic received his medical degree from Des Moines University College of Osteopathic Medicine in Iowa. He completed his internal medicine residency and cardiovascular medicine fellowship at St. Louis University in St. Louis, Missouri. 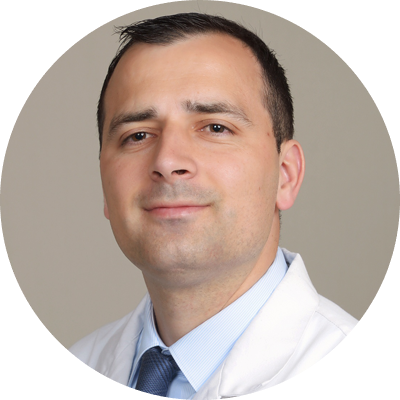 Dr. Vidic is board-certified in internal medicine, cardiology and echocardiography and is board eligible for heart failure and transplantation. He has a keen interest in myocardial recovery strategies utilizing ventricular assist devices.